We, marketers, always think: what can we do to attract more leads, engage and convert them even better? As Ryan Deiss, the CEO of DigitalMarketer, says, “He (or she) who is able and willing to spend the most to get a customer – wins …”. So as the competition is growing, the customers need more and more personal approach. Oftentimes, different customer segments need different marketing messages or even different products. However, despite the fact that personalization is a good thing, how does one combine it with a HUGE flow of prospects without the costs rising dramatically? 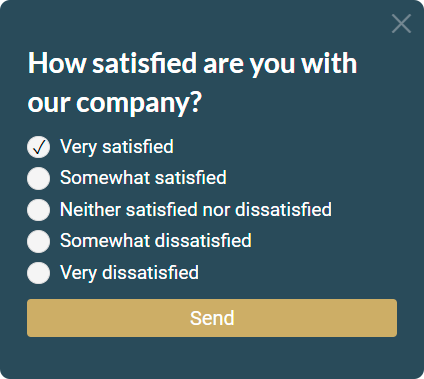 This is where online surveys come in. That is, an automatic way to attract and convert your leads in a more personal way. What is an online survey? It’s an online form, that generally asks a visitor to select an option from the list. 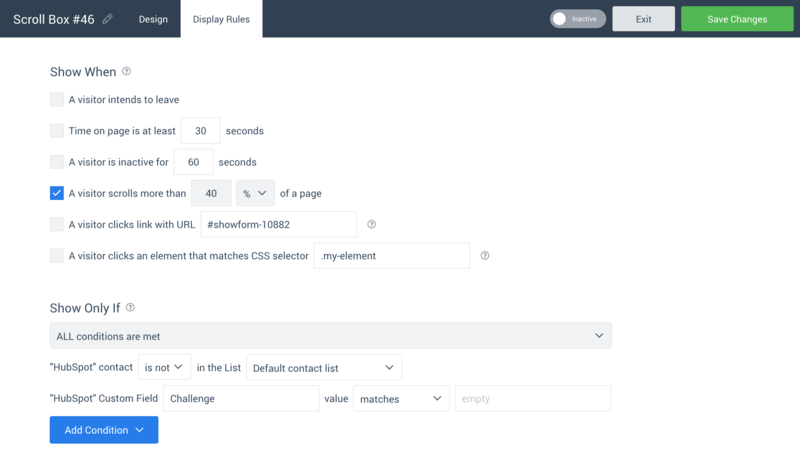 It can be a separate landing page or a widget on your site. If you conduct a single survey of your current subscribers list, you might want to host it on a separate landing page. If you want to make it part of the ongoing process for your site visitors, it’s best to set it up as a site widget. Now comes the interesting part: how to use online surveys to make your flywheel spin faster. The most popular tool for converting site visitors into leads is still the basic subscription form. The only problem is that most marketers use them in the wrong way, offering no extra value and showing them at the wrong place and time. All this annoys visitors. As a result, many visitors got used to closing the forms once they appear, without even reading the offer. But here’s the workaround. If you show something different at first, it will break the pattern, and visitors will actually pay attention. That’s why showing a survey question before actually asking for email can significantly increase your conversion rate! 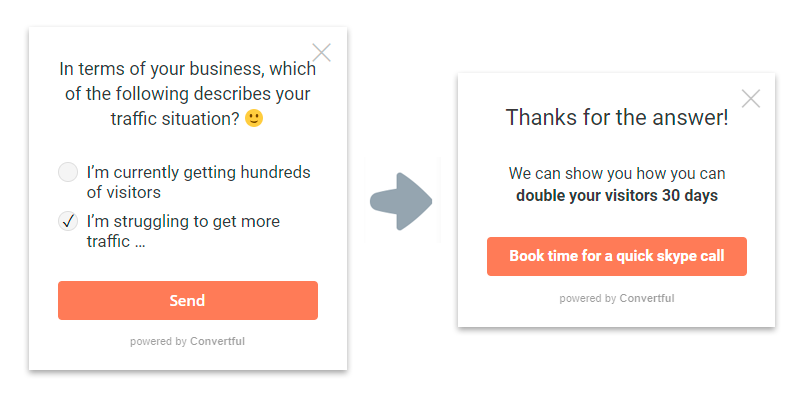 (Btw, another lead generation solution that uses the very same principle is the YES/NO Forms). And the best thing here: you get a segmented list (based on the question answers). So you can personalize further communication with such contacts. 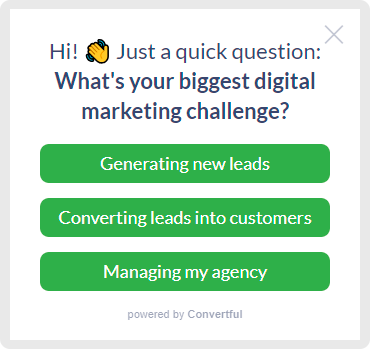 So you can use the very same survey widgets to qualify your current leads. The more data you have about a lead, the simpler it will be for your sales force to close the deal! Most probably, you already have a well-established sales funnel. The best way to make it even better is to engage your leads even more! 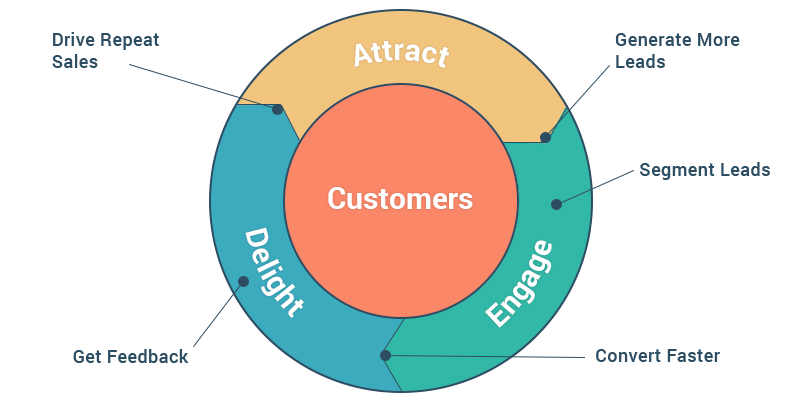 Just think about it: this is so important, that HubSpot even marks the whole sales funnel with a single word: “Engage”! 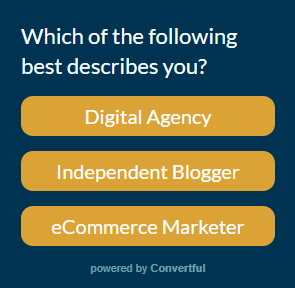 In this regard, survey widgets are just perfect for engaging your leads when they visit your site. Neil Patel, a famous marketing guru, even calls surveys an “excellent engagement boosters”. And once a lead interacts with your survey widget, you can show the call-to-action that is relevant to his/her answer. Ok, your sales team closes a deal. A lead becomes your new customer. What’s next? Here’s what the HubSpot’s CEO, Brian Halligan, says: 33% of the recent new HubSpot’s customers have learned about it from the word of mouth. That’s why in 2018 it became especially important not only to drive sales but also to delight customers after they buy. If a customer gives negative feedback, you can assign to him/her a special custom property, or even send an email alert to handle this asap. And if a customer is satisfied, you can offer him/her to write a review on a reviews site. Option 2: you can naturally ask a customer to recommend you to his/her friends. Now that you know what types of online surveys you can create for lead generation, let’s look at how to actually set one up. For starters, we will go with the online survey for attracting new leads and collecting their information for nurturing. what they did in the past. The “biggest challenge” question is a good mixture of both. Different buyer personas often need different marketing messages or even different products/services. If you have personalized sales funnels for each of your buyer personas, the best way to start the funnel could be asking for the persona first. For example, most of the Convertful customers are strongly bound to a single Email Marketing Platform. That’s why most often they want to know what Convertful can do for THEIR platform (not for any other one). So what we do is we ask them what their favorite platform is. Next, we offer them the information that is relevant and interesting for their platform of choice. Create a property where you will store the survey question answers. Choose the “Single-line text” type. 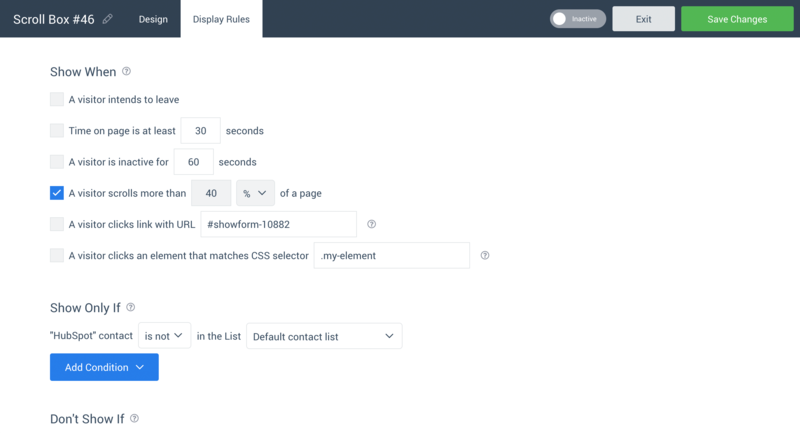 Make sure that the field won’t show in standard HubSpot forms automatically. 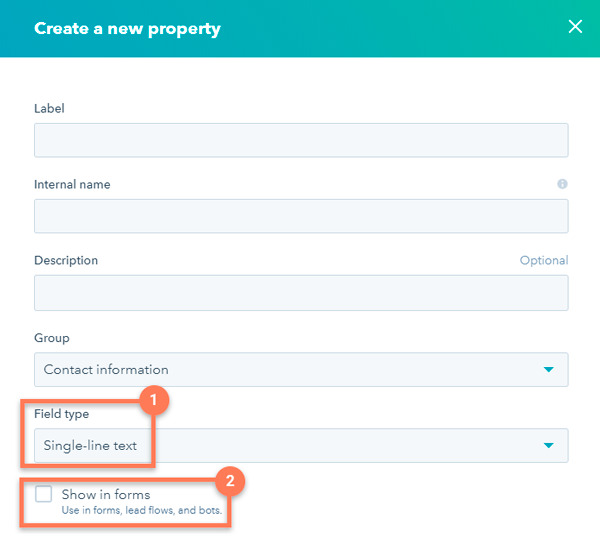 Sets the proper custom field value for the contact. When needed, navigates to a specific widget screen. You can use survey widgets to generate more leads, qualify them better and convert them faster. Just choose the right question, and start asking!